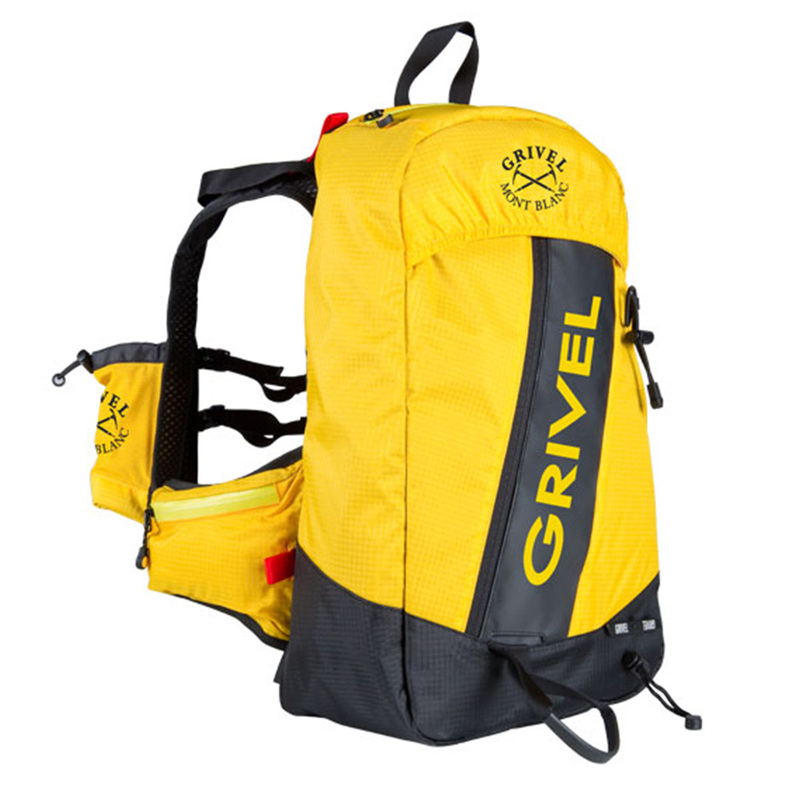 The Grivel Ski Rando 25L is one of those satisfyingly small yet dense backpacks. It's a compact workhorse disguised as a pony. One angled ski slot on the front holds both skis. You can store one ice axe on the front of the pack and then another on the shoulder for quicker access. An external pocket stores your shovel, shaft, and probe in one, separate place. There are two bottle holders and two zipped pockets on the belt for snacks, drinks, glasses, sun lotion, etc. In fact, I know exactly what it is: a running pack turned into a ski touring backpack! For anyone who's keen on fast and light, whether ski touring or for light alpinism, the Ski Rando 25L is as minimal as they come.